As a full-time cycling coach I'm most excited about helping cyclists of all abilities discover what they’re capable of. From fondo's to road races, I'm passionate about applying my background in exercise science and sports nutrition to help you train smarter, eat better, and ride faster. If you’re in Sacramento, San Francisco, or the Northern California area, contact me to set up a consultation. If online coaching works best, let’s connect over email, phone, or Skype. My entire career has been spent in education and coaching. 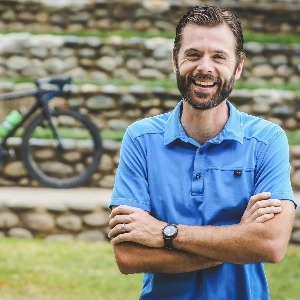 As a former teacher and now full-time cycling coach, I'm most excited about helping cyclists discover more about themselves as they achieve their goals on the bike. If you have any further questions about my qualifications or coaching offerings please don't hesitate to contact me! Success. Coach Nate Dunn M.S. has been notified of your message. To hire Nate Dunn M.S. as your coach, select the coaching service that is right for you.